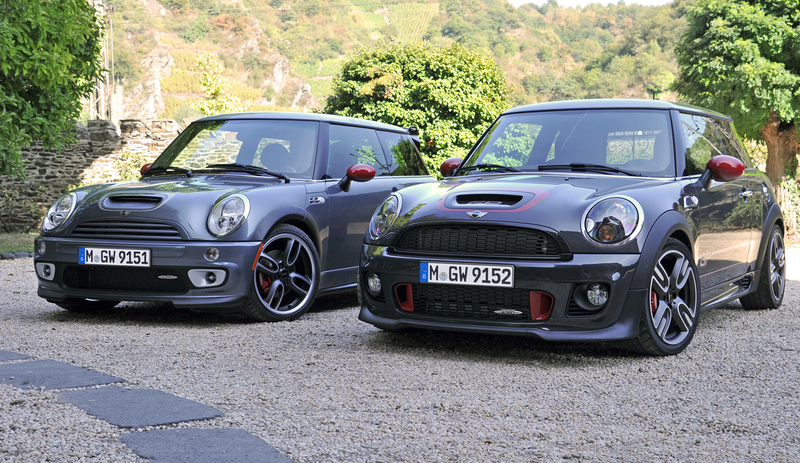 The R50 and R53 MINI coupes were watershed products that ushered in a new era of small, sporty premium cars. Beyond that, they also resurrected a brand and change perceptions of what a small car could do both on the track and in the market place. They also make great used buys. But there are some important things to remember when shopping for that perfect used MINI. In this buying guide we’ll attempt to get you started down the right path. 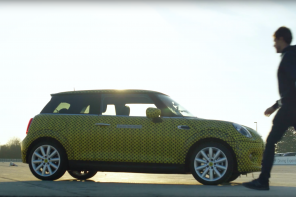 We’ll look at the cars, their issues and the seemingly constant updates made by MINI throughout the model cycle. While it’s true the early MINIs had there fair share of issues, they are still very strong cars with little in the way of serious, budget busting potential problems (with one exception we’ll touch on later). They can provide an unequaled out of the box driving experience for a great price and are generally easy and fairly inexpensive to maintain. That’s not to say that a potential MINI buyer shouldn’t be fully educated in the ins and outs of potential issues. It’s also very beneficial to know what has changed through the years. With this guide we hope to give an overview of what to look for in the way of potential problems and what to look for in terms options and production changes through the years. We won’t be diving into all specific issues but giving a general overview of what to look for and what to avoid. There’s one rule of thumb when it comes to buying a used R50 or R53 MINI: buy as new as your budget allows. As is the custom for BMW, MINI made quite a few important changes to the first generation MINI coupe throughout it’s lifecycle. The most important happening in the 2005 model year (beginning with July ’04 builds). 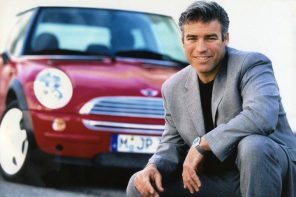 BMW introduced the world to the new MINI in July of 2001. With sensational reviews and a wave of nostalgia, sales took off quickly. However these early cars (UK and Europe only) were full of issues that one would expect from a new plant, new car, and essentially a new company. Rattles, creaks, and an unsettling pull to the right on some cars, 2001 MINIs are not generally recommended without a full service history and a proper inspection. 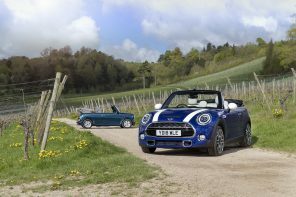 Of all the models, we’d suggest staying away from the CVT equipped MINI One and Cooper. There have been many recent reports of the transmission failing altogether with as little as 50,000 miles on the odometer. While all R50 automatics suffer the same issue, these older cars are especially prone due to the potential for higher mileage. The 2001 and 2002 MINIs were relatively inconsistent with the amount of under-hood padding and sound deadening material depending on the market. 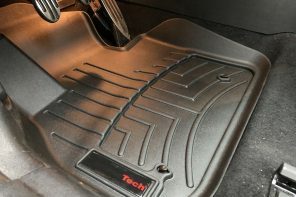 Most sold in the US during 2002 did not have two required flat pieces of plastic that protected the hood where it came in contact with rubber near the engine. The issue is that rubber would simply rub off the paint and could pose a serious rust issue. With all MINIs from 2001 through 2006, the first year cars are prone to water collecting in the door sills due to the rubber seal. The result is often rust under the seal or under the plastic step plate. 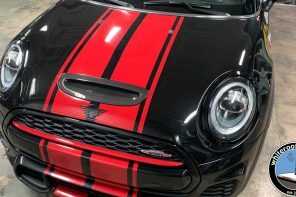 MINI has been dealing with issue on an individual customer basis but most have been having some success getting repairs paid for within the rust warranty period. Be sure to check this spot on any potential purchase. As these cars get older several oil leak issues have also cropped up. The single largest issue we’ve seen are leaks around the crank seal/gasket. The seal dries up and allow oil to be pumped out as it’s near the crank damper. It’s a relatively easy fix (once you get the entire front of the engine apart) but if it’s not dealt with it can cause oil starvation and serious engine issues. Another place to look for oil leaks is at the crank sensor. The o-ring around it shrinks and allows oil to pass often as early as 30,000 miles. However the reason this is such an issue is that it will leak down the front of the block and simply blow off when driving never show up on a drive-way while parked. Again the fix entails pulling the front off the car and replacing a relatively cheap part. 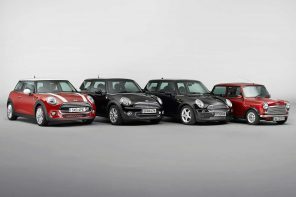 2002 saw the introduction of the MINI Cooper to the North American market and the Cooper S to the worldwide market. In the US the first couple months of production was built up from pre-specced cars. Generally speaking these cars were built in February, March and April of 2002. 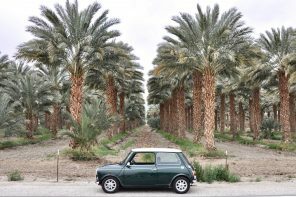 While the Oxford plant had cured some of the early issues prevalent with the ’01 models, the ’02 MINIs were also prone to some nagging problems ranging from leaking coolant tanks to stumbles, lurches, and stalling. Engine management software was what you could call a “work in progress” for cars produced in the first half of 2002. Luckily this is something easily upgraded by any dealer and it’s something that should have been taken care of during the warranty and free maintenance period. Updating the software should eliminate 98% of these issues. However there are a couple things you’ll want to keep an eye on with these early cars. One of the more subtle but still important issues was the under-hood rubbing that would wear away the paint from the under-side of the bonnet. The issue was that the rubber around the radiator would rub the underside of the bonnet. Within a year or so many cars had exposed steel due to the constant contact – certainly a great breeding ground for rust. However like most problems from this time period MINI issued a bulletin that dealt with this problem. Like the 2001 model, we’d strongly recommend steering clear of high mileage Ones and Coopers with the optional CVT automatic. Problems that involve complete replacement seem to be cropping up at an alarming rate as these cars age. The MCS had notorious problems with the coolant tank failing at the seams in these early model. While MINI did update the part, they never quite perfected the design. In fact we’ve been told by several people in the know that all coolant expansion tanks on the Cooper S will likely fail over the course of the life of the car. 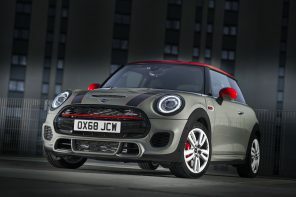 The 2002 model year also saw the official introduction of the JCW Cooper kit. 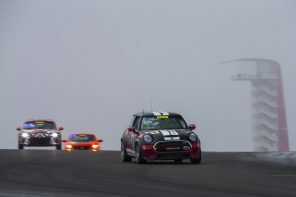 The kit was essentially the same series of modifications used in the JCW UK Challenge on the Coopers that competed in the series. However power gain was modest for the price and sales never really took off. And with the Cooper S being introduced just months later in the year, the JCW Cooper kit remained a very niche option. As in the 2001 model year, these cars have several oil leak issues. The single largest issue we’ve seen are leaks around the crank seal/gasket. The seal dries up and allow oil to be pumped out as it’s near the crank damper. It’s a relatively easy fix (once you get the entire front of the engine apart) but if it’s not dealt with it can cause oil starvation and serious engine issues. Another place to look for oil leaks is at the crank sensor. The o-ring around it shrinks and allows oil to pass often as early as 30,000 miles. However the reason this is such an issue is that it will leak down the front of the block and simply blow off when driving never show up on a drive-way while parked. Again the fix entails pulling the front off the car and replacing a relatively cheap part. Again door sill rust was an issue as it was in ’01 cars. See the 2001 model year for details. Generally speaking 2002 MINIs are great cars. But these and other issues make them less desirable then their newer counterparts. With plenty of production under their belts, MINI made some subtle changes to the 2003 models. By this time the coolant tank issue that plauged 2002 MCSs had been somewhat rectified (although several independant mechanics have told me they never got it quite right). Also upgraded during 2003 was the software that came with the car. The upgrade dealt with the problems of 3rd gear lurches on the MCS and stalling (with the aircon on) on the MC. However the fixes didn’t entirely eliminate some idling issues. For unknown reasons MINI eliminated the extra power socket in the boot for the 2003 model year (only to bring it back a year later). On the upside, MINI added brake wear sensors to the left front and right rear brake pads of ’03 models. It may be worth noting that the US spec shocks were changed in May 2003 builds due to customer complaints. A lot was written about this change in the community at the time – much of it negative. However we think it’s telling that, now that the cars are out there and people have experience both, little more has been said. To us, the difference was very subtle and frankly welcome due to the current state of most US roads. At the time 2003 MINI earned the reputation of being noticably better built cars with generally less issues then their earlier counterparts. However we would still recommend looking at later MINIs if your budget allows. And like the previous years, be wary of the optional CVT automatic. It’s an expensive replacement should something go wrong. As in the previous model year cars, 2003’s have several oil leak issues. The single largest issue we’ve seen are leaks around the crank seal/gasket. The seal dries up and allow oil to be pumped out as it’s near the crank damper. It’s a relatively easy fix (once you get the entire front of the engine apart) but if it’s not dealt with it can cause oil starvation and serious engine issues. Another place to look for oil leaks is at the crank sensor. The o-ring around it shrinks and allows oil to pass often as early as 30,000 miles. However the reason this is such an issue is that it will leak down the front of the block and simply blow off when driving never show up on a drive-way while parked. Again the fix entails pulling the front off the car and replacing a relatively cheap part. Again door sill rust was an issue as it was in ’01 cars. See above for details. By 2004 MINI had started to really get a real grip on quality issues that had cropped up in early model years. Rattles seemed to be reduced (but not gone) and issues like software seemed to be almost non-exsistant. Elsewhere the optional Navigation unit was upgraded from a CD system to a DVD based system that could hold substantially more data on each disc. This meant the end of swapping out disks as you went from state to state or (in places like Europe) country to country. 2004 was also the year that MINI officially introduced the Cooper S JCW package as aa dealer retrofit. With 197hp (200bhp) the almost $5000 JCW kit was blasted by many in the community as excessively expensive for what it produced. However much of that criticism melted away as people began to experience the car themselves. 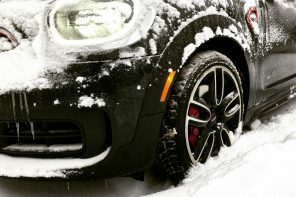 The JCW S was not only quick but incredibly smooth and (dare we say it) refined. 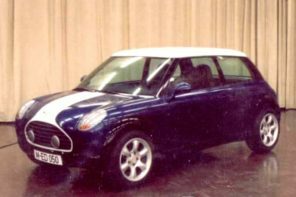 In the spring of 2004 MINI also finally released the original JCW Cooper Kit (the non-S version) to the US market. This kit was designed to be used in the original JCW Challenge run in the UK. However sales where extremely low and it is truly the rarest of all MINI models. Two and a half years into production, MINI finally nailed several of the minor annoyances that plagued early models. Because of this, we’d highly recommend the 2004 model year over any of the previous years. With more options available, better components and increased build quality, it’s really a great second hand car. Of course that mainly applies to the manual transmission models. The CVTs on Ones and Coopers from this year, while seemingly a bit more reliable, have been known to fail with bills reaching in excess of $8,000. The MCS had notorious problems with the coolant tank failing at the seams even though the 2004 had an updated design. In fact we’ve been told by several people in the know that all coolant expansion tanks on the Cooper S will likely fail over the course of the life of the car no matter the year. Like all R50/R53 MINIs, 2004’s have several oil leak issues. The single largest issue we’ve seen are leaks around the crank seal/gasket. The seal dries up and allow oil to be pumped out as it’s near the crank damper. It’s a relatively easy fix (once you get the entire front of the engine apart) but if it’s not dealt with it can cause oil starvation and serious engine issues. Another place to look for oil leaks is at the crank sensor. The o-ring around it shrinks and allows oil to pass often as early as 30,000 miles. However the reason this is such an issue is that it will leak down the front of the block and simply blow off when driving never show up on a drive-way while parked. Again the fix entails pulling the front off the car and replacing a relatively cheap part. The 2005 model year MINI Coupes introduced a number of new features and advancements that addressed issues with both design and engineering of the original car. Hundreds of components were upgraded and several key drivetrain improvements were made. The biggest changes to the MCS were found under the bonnet. A revised supercharger (the same found in the JCW kit) ECU, exhaust, and shorter gearing made the 2005 Cooper S a noticeably quicker car than models that preceded it. Track performance was also helped by the addition of a Limited Slip Differential to the options list. The LSD option was introduced to 01.05 builds and quickly became an essential option for all those looking to take their MINI to the track or auto-cross. Along with the ECU update was an additional “off throttle” back pressure like popping sounds that came from the exhaust. While it would seem that the updated exhaust was the reason for this, it was indeed the new ECU that controlled this new and much loved feature. It was particularly nice sounding when coupled with the JCW kit or a quality aftermarket exhaust. The MC also had similar tweaks that resulted in slightly more torque and better power power throughout the range. However the biggest change to the drivetrain of the Cooper was the introduction of the Getrag 5-speed gearbox in place of the problem prone and rather ancient Midlands manual unit. 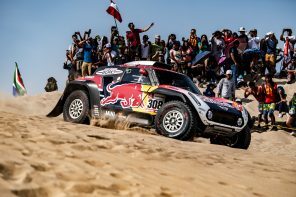 The new gearbox produced better feel and real feedback – a big step up indeed. Another option introduced in the 2005 model year MCS (starting with 01.05 builds) was the much debated Aisin 6-speed automatic gearbox. The gearbox offered mediocre performance (almost a full second slower than manual cars) but allowed for easy operation in heavy traffic. It also featured paddle shifters that allowed for a semi-manual option. In the real world however, the computer still would over-rule this manual control from time to time. While it was a welcome option for some, it was derided by most in the MINI community as pandering to the US market. Yet that didn’t stop as many as 50% of soon to be MINI owners from checking the “auto” box on the ordering sheet. There were some small tweaks to the design of the exterior as well. Both models had upgraded HID Xenon headlights that introduced the now well known “MINI Halo” around each low-beam. The halogen headlights were also redesigned to create a simpler, cleaner look. The rear light clusters were redesigned to incorporate the reverse lights (moved from the bumper for better visability) and extended the MINI’s circular design language even further. The rear foglight (finally a factory option in the US) was moved to the previous position of the reverse light. For the Cooper there were also additional design changes. The front bumper and air intake area was heavily revised to accentuate the front foglight housing and to de-emphasize the air intake. The rear refresh saw the elimination of the bumper strip and the addition of a small decorative strip (either in chrome or body color) added near the bottom of the rear facia. Inside the cabin was upgraded with better materials and a simpler, less rattle prone dash was fitted. Seats were upgraded and airbag sensors were added to the seat cushions for US models. This allowed the passenger side airbag to be deactivated when not needed. However all this meant that the previous (and much loved) two-spoke steering wheel was now unavailable in the US as the three-spoke was the only wheel designed to work with the new system. Also inside a number of new options made their way to the ordering sheet. For instance potential MINI owners could opt for a anthracite headliner to give their car a decidedly more sporting feel. 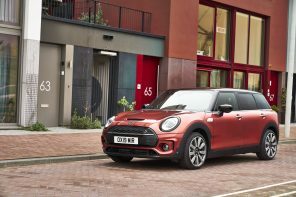 Red cloth and black leather seating was one of several new choices that gave the MINI’s interior a sprinkling of color where there was rarely any before. Finally the newly available body colored dash option gave the interior new life and continued the outside look, inside the car. All these changes added up to a substantially improved MINI. The 2005 Cooper S saw it’s power go up to 170bhp (168hp) and was a noticeably quicker car. Both models were also much improved by the scores of new components and better production processes. In our opinion the 2005 MINIs represent the best value on the used MINI market. Along with the 2006 models, they are unquestionably the two years to look for. Especially manual transmission models with the optional limited slip. Perhaps unsurprisingly, some issues remained. While the coolant tank was again updated, there continue to be reports of the 2005 design eventually failing at the seam. Another updated part that wasn’t successful was the newly redesigned engine mount on early 2005 models. The mount would fail and often time spew it’s oil all over the right side of the engine. Finally, keep an eye out for clutch or fly-wheel issues that plagued more than few cars from this time period. Another area that problems persisted were with the One and Cooper models with the optional CVT transmission. While issues seem to be less frequent than the earlier cars, the basic design of the transmission didn’t change in ’05 and thus it would be wise to keep this in mind when shopping. Of course the newly released automatic on the Cooper S was a traditional torque converter style auto that doesn’t share any of the CVT issues. That said modern automatic transmissions aren’t always known for their long-term (100k+) reliability so keep that in mind. The MCS had notorious problems with the coolant tank failing at the seams even though the 2005 had an updated design. In fact we’ve been told by several people in the know that all coolant expansion tanks on the Cooper S will likely fail over the course of the life of the car no matter the year. Despite the myriad of changes for 2005, like all R50/R53 MINIs, the cars still had several oil leak issues at this point. The single largest issue we’ve seen are leaks around the crank seal/gasket. The seal dries up and allow oil to be pumped out as it’s near the crank damper. It’s a relatively easy fix (once you get the entire front of the engine apart) but if it’s not dealt with it can cause oil starvation and serious engine issues. Another place to look for oil leaks is at the crank sensor. The o-ring around it shrinks and allows oil to pass often as early as 30,000 miles. However the reason this is such an issue is that it will leak down the front of the block and simply blow off when driving never show up on a drive-way while parked. Again the fix entails pulling the front off the car and replacing a relatively cheap part. Again door sill rust was an issue as it was in all MINIs that preceded it. See above for details. The 2006 MINI was essentially unchanged from the 2005 mechanically. 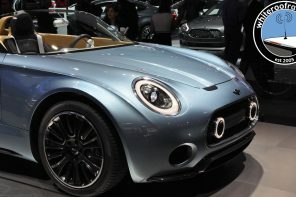 MINI did however create several limited edition cars that spanned the model line-up. In the US these models were broken down to options or options packages that anyone could order on both models available in the US. Along with these packages, MINI also added a silver roof option available on most colors across the range. Along with the three exclusive colors for 2006, there were some fantastic and rather rare color combinations available. One curious change made from May production onward was the increase in size of the lug bolt holes to accommodate changes for the upcoming R56 production change-over. This caused and continues to cause quite a bit of confusion in terms of what brakes and wheels will fit these select cars. As with all years, the 2006 model did have a few issues. Coolant tanks still seem to be a problem and are worth keeping an eye on. Also seen in the 2005 and 2006 cars was the clutch/flywheel problem mentioned earlier. Along with this it’s also worth keeping an eye on the drive shaft wear that manifests itself in a little chirp at take-off. And as with all MINI Ones and Coopers, be weary of the optional CVT transmission if you plan on putting some serious miles on the car. The MCS had notorious problems with the coolant tank failing at the seams even though the design was updated in 2005. In fact we’ve been told by several people in the know that all coolant expansion tanks on the Cooper S will likely fail over the course of the life of the car no matter the year. Like all R50/R53 MINIs, 2006’s have several oil leak issues. The single largest issue we’ve seen are leaks around the crank seal/gasket. The seal dries up and allow oil to be pumped out as it’s near the crank damper. It’s a relatively easy fix (once you get the entire front of the engine apart) but if it’s not dealt with it can cause oil starvation and serious engine issues. Another place to look for oil leaks is at the crank sensor. The o-ring around it shrinks and allows oil to pass often as early as 30,000 miles. However the reason this is such an issue is that it will leak down the front of the block and simply blow off when driving never show up on a drive-way while parked. Again the fix entails pulling the front off the car and replacing a relatively cheap part. For 2006 MINI released the ultimate of the first generation MINIs, the JCW GP. 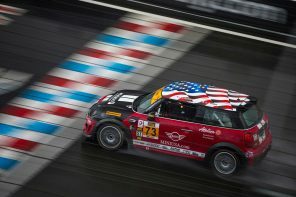 The car came together almost as a last minute thought as MINI was gearing up for the 2007 R56 MINI’s introduction. 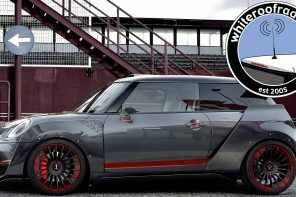 The idea was simple: create a limited edition (2000 cars) JCW MINI that put aside concerns about comfort, seating, and road noise and instead focused on all out performance. The car was a run-away success with many selling for over list price initially. Even two years on, some cars with a few thousand miles on them are still selling at list or just below it. 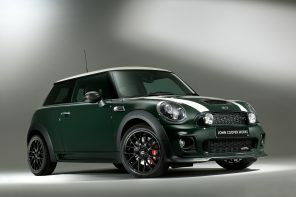 But what is really special about the car and is it worth the extra cost over a used 2005/2006 JCW Cooper S? 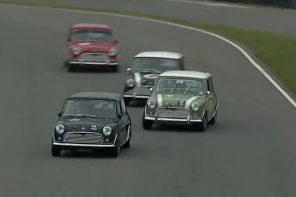 To help answer that question let’s take a look at how MINI made the GP. First off, this project was almost an afterthought for Munich. However they quickly realized they could leverage a couple key components of the upcoming 2007 MCS for the new special edition. MINI engineers quickly realized the R56’s aluminum control arms could easily fit on the GP helping with reducing the weight. Looking at the underside of the R56, they also decided to “re-purpose” the underside paneling on the 2007 MINI (not seen on US spec R56s) and install it on the GP further helping it to reduce lift. 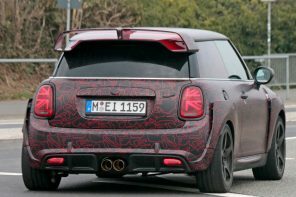 Then MINI focused on what it could create as one-off parts to further differentiate the GP from the more ordinary JCW MINI. The back-seats were replaced with a non-function rear reinforcement bar (offering only cargo separation and child seat anchors) and an extra cargo storage area under the floor. They also added the previously optional Recaro seats trimmed in black leather and red stichting. In the US, MINI offered a version of the “Checkmate” seats since the Recaro’s didn’t have a passenger side airbag sensor mandated by federal law. Curiously the interior didn’t feature any of the popular JCW accessories like the steering wheel, gear shifter or dashboard that it probably deserved. 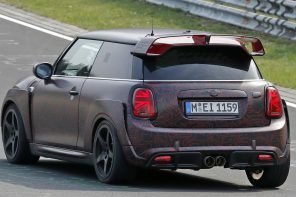 Outside MINI created a one-off aero-kit that shared the basic shape with the soon to be released R56 JCW aero-kit. The front clip was lower than the previous R53 aero kit and the side skirts were a bit more aggressive. So low were the side skirts that MINI had to create small plastic doors that allowed access to the jack-points of the car. Jack points that were typically a half inch or more below the standard side skirts. Along with this, the car also featured several GP related graphics and the car’s production number (over the roof). But the center-point of the exterior design was the wind-tunnel tested carbon fiber and plastic rear wing. While the wing was entirely functional, it did dictate a move of the rear third brake-light from the roof to behind the hear window. All this also meant the GP would need a specially designed piece of rear glass to accommodate not only the lighting change but the huge wing. It’s worth noting that the rear wing would later become the wing featured on the R56 JCW Challenge race cars. The JCW GP’s “body in white” was produced at the Oxford Plant in the UK and then shipped via train to Bertone in Italy. BMW contracted Bertone to build the car for two reasons. First off the Oxford Plant simply had no excess capacity and was in the middle of $200 million renovation. Secondly, BMW owed Bertone since it’s C1 motorcycle (produced by Bertone) had an unnaturally short life-cycle due to low sales. At the time the car seemed incredibly well thought-out and very purpose built. However with time it’s clear that MINI brought together one-off components with R56 technology to create something in very little time. Knowing this, one could certainly understand if the entire project went pear-shaped and the car ended up being nothing particularly interesting considering the cost. As it turned out, the opposite happened. The JCW GP was an incredible car that used these components to create an experience unmatched by any other factory MINI. It was and is the ultimate performance MINI. The sound, the handling and the acceleration are what make it truly special. And it’s a testament to the people involved and the basic MINI underpinnings that such a project (along with a wide range of non-specific parts) could create such a special car. All that said look for all the same niggling issues found in the 2006 model year cars. Oil leaks and door sill rust being the most serious (see above). It’s pretty easy to simply say, steer clear from anything before 2004 when looking at used MINIs. But that does these models a huge disservice as they can be practically trouble free and incredibly fun to own. While it is true that the later years are unquestionably better built and better designed, every MINI produced as the ability to put a smile on your face like few other cars out there. Remember to get any used car you’re considering inspected by an independent MINI mechanic or dealer. The $50 – $75 will be well worth the piece of mind as you’re writing the check. And don’t forget to have the dealer check the service history of the car via the VIN number. Any MINI dealer has the ability to do so and they should be more than happy to do it if you’re a current or soon to be customer. Finally be level-headed about the buying decision. If something doesn’t seem right about the car upon inspection, don’t ever lose sight that you can just walk away. There will be another MINI. Look for this guide to be updated based 2-3 times a year based on reader feedback. You can submit feedback via the MotoringFile contact page. We’ll have future buyers guides concerning the R52 (1st Generation Convertible) once that car has ceased production in late 2008.